What if I told you there is a way to reverse & prevent the signs of aging? What if I told you can reduce your pores dramatically? What if I told you that you can nourish your skin without harsh chemicals and dyes? 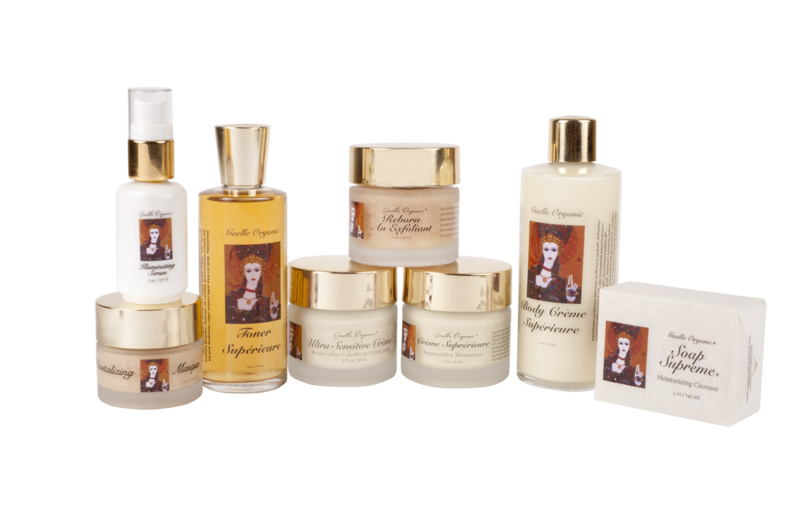 How do I begin to start to inform you of this revolutionary Organic skin care line? I sit here with a million thoughts in my head and a huge smile on my face because it actually works! After a phone conversation with Gaelle (the creator of "Gaelle Organic") she really opened my eyes to help and improve my skin with some helpful hints to banish my pores and improve the health of my skin!!! Reduce coffee to only one cup a day! Coffee will most definitely enlarge your pores! Replace your coffee with Green or White tea. It will replace the caffeine that you need but these teas are filled with anti-aging benefits. Put your toner in the fridge for the first two weeks to help close up your pores. After the two weeks you will no longer need to use it cold. This toner will only work 50% if your a big coffee drinker so cut it down to one cup a day! It's so important to hydrate your skin so drink your water and tea! Use Coconut Oil to remove your makeup. Then cleanse your face. To read about all the benefits of Coconut Oil click here. Be kind to your skin don't pull it treat it like a baby, gently. 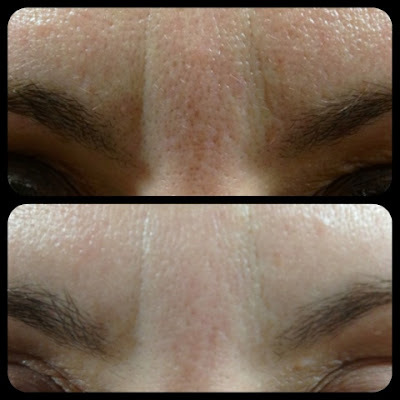 I listened to Gaelle and this was my results only after 4 days of using her Organic skin Care line! I swear there is no Photoshop in this picture! I'm stunned and so trilled by the results I got in such a short period of time! Soap Supreme perfectly complements Crème Supérieure, Toner Supérieure and Reborn Exfoliant – all you need for your daily care. You can use Soap Supreme all over your face and body. 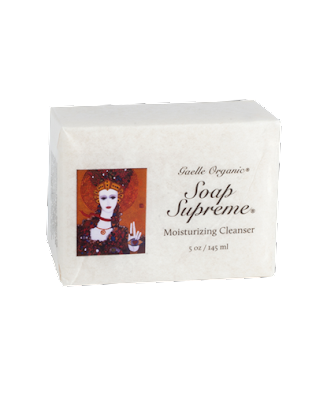 Soap Supreme is an organic soap formulated for dry skin. Its rich oils moisturize as they cleanse. This has to easily be my favorite part of a face routine! This soap feels so natural that it almost feels like it can melt in your hands! That right off says to me that this is "real" soap. All you need to do is roll it in your hands twice and you have enough soap to lather up to wash your face. I find that I'm always rolling and rolling other soaps to get a decent amount of product to wash with. You can also use this on your entire body! After your shower you probably wont even reach for your lotion. It's really that incredible! The smell of this soap is euphoric and pure! The way my skin feels when I use it is like no other soap! When you rinse your face it actually squeak's... like it's really clean. The texture it leaves your face is soft and moist. Not tight and dry. Reborn Exfoliant™ will clear, smooth and moisturize your skin - in less than a minute. In 30-seconds your skin will glow like after a 1-hour facial. Reborn Exfoliant is dramatically effective, yet so pure you could eat it. Only natural goodness is absorbed when you put it on your skin. 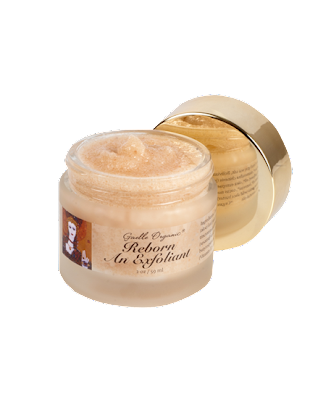 This natural exfoliant can be used all over the face, including under the eyes, the neck and decolette. This exfoliant is unlike any other I've used! I love the gritty Sea Salts! It doesn't hurt or irritate my skin! It almost wakes it up and gets the blood flowing. This is a must have to help shed the old dead skin cells and reveal fresh beautiful skin. The way it leaves a moisture shield after is incredible! It really is French Gray Sea Salts because you can taste it... which doesn't scare me because its natural NO chemicals! Don't be scared of the price or the amount your getting. You only need to use this once a week (after cleaning the face and before you tone it). You only need a small amount, enough to coat two fingers then you work it around your face. 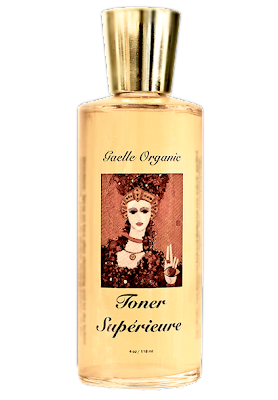 Toner Supérieure is a blend of natural astringents and hydrosols that have been used for centuries to nurture beautiful skin. Its pH-balanced natural toners and herbs work together to tighten pores, refine skin texture, protect against sun damage, andreduce breakouts. 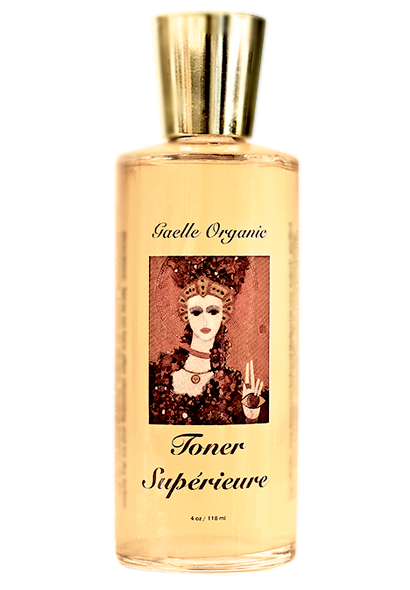 You can use Toner Supérieure safe in the knowledge that it contains no synthetic chemicals or alcohol and will not cause irritation or drying. It is used after cleansing to deeply clean and shrink the pores. It washes away cleanser residue and restores your skin's healthy pH balance so you have better protection against infections – which means fewer breakouts and a clearer complexion. Use your facial toner daily after cleansing, prior to moisturizing. Pore-minimizing effects can be amplified by storing Toner Supérieure in the refrigerator. Love love love!!! Toner is only necessary if you have large pores or oily skin. My pores in my T-Zone are terrible but not anymore! I find that the oil on my skin as calmed down as well! This toner doesn't burn at all because there is no Alcohol in it which is awful for your skin! Just pure natural ingredients just what our skin wants and needs! I love the cooling effect it has on my skin as well. It is difficult to find effective anti-aging products for sensitive skin. Sensitive skin can react even to pure, organic ingredients. And as products become stronger, the chance of a reaction goes up. Colostrum and edelweiss can bridge the gap. Colostrum is one of the richest natural sources of immune and anti-aging factors. It can reduce redness and rashes at the same time as it helps re-build healthy skin. Edelweiss contains antioxidants that are twice as strong as Vitamin C. Yet it soothes and protects sensitive skin. 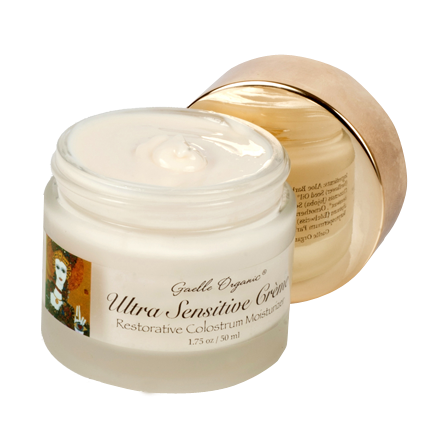 Ultra Sensitive Creme is formulated with colostrum and edelweiss to provide effective anti-aging for sensitive skin. I have an oily T-Zone all I need is literally a drop (when I say a drop I mean a drop) under my eyes and on my cheeks! I also use a drop on my neck and a bit in between my eyes (I have wicked wrinkles there from squinting). This small amount glides over my skin, moisturizes and makes it feel so supple. Again, the smell from her products are incredible and fresh! You just know your feeding your skin and loving your skin! If you have very dry skin she does have a moisturizer perfect for you Creme Superieure. "You will see immediate results and your skin will become more and more beautiful the longer you use our products." When I read that I thought, honestly that is a BOLD statement... doesn't every skin care line promise that? Well, she was right. My picture (at the top) and experience is proof! I will never use any other skin care line again... I'm hooked and you will be too! I know!!! I'm still shocked! These are really beautiful products and all natural! That's why it works! I seriously get so excited to wash my face now! 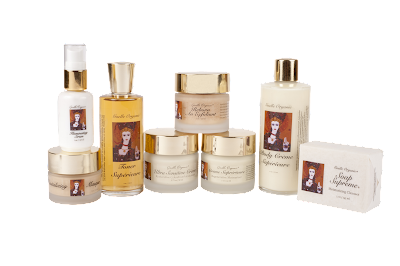 I adore Gaelle Organics! Thanks for stopping by! These products look incredible! They never would have been on my radar without this review, so thanks! Great review...must try! makeupjunkienikki@gmail.com give me a email!